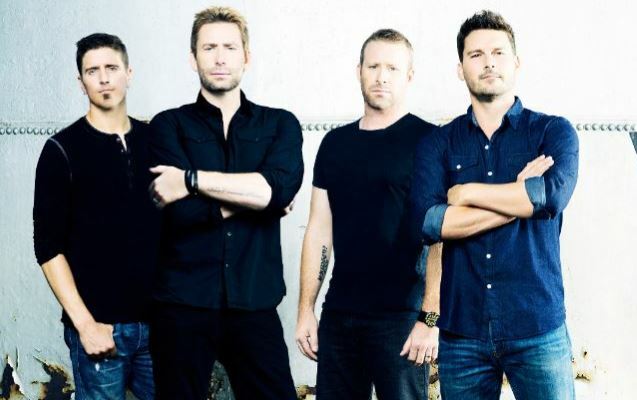 Canadian rockers NICKELBACK have "more intelligent" lyrics than their other popular rock acts, including the FOO FIGHTERS and LINKIN PARK, a new study claims. Seatsmart's Andrew Powell-Morse conducted an analasys of the lyrics of 225 songs that spent at least three weeks at No. 1 in Billboard's pop, rock, country and hip-hop charts. "I turned to the Readability Score," said Powell-Morse, who used writing-analysis tools such as the Flesch-Kincaid index, a readability test to measure reading difficulty, to determine the average reading level of a section of text. He added: "I plugged in song lyrics — punctuation added by me, since most songs lack it altogether — and out of the machine popped out average grade level, word count and other very interesting metrics." Powell-Morse discovered that country music has the "smartest" songs, with a reading difficulty of 3.3, followed by pop (2.9), rock (2.9), and R&B and hip-hop (2.6). Among the seven top rock acts, NICKELBACK beat out LINKIN PARK, SEETHER and the FOO FIGHTERS, with AVENGED SEVENFOLD coming in last at 2.25. THREE DAYS GRACE, meanwhile, earned the dubious honor of penning the dumbest song of the decade in the form of 2010's "The Good Life", which has a grade level of 0.8. OZZY OSBOURNE's "Let Me Hear You Scream" was second-to-last with a grade level of 1.2. The highest-ranking No. 1 rock hit of the past 10 years by grade level was RED HOT CHILI PEPPERS' "Dani California", with a grade level of 5.5. The runner-up was THREE DAYS GRACE's "Animal I Have Become" with 5.2. Powell-Morse admitted that "this data doesn’t touch on the meaning of a song, the metaphors, how the words connect with the artist's personal story, etc. to create deeper meaning" and acknowledged that country music scored higher in part because it is "the only genre generally devoid of words like 'oh' or 'yeah' repeated 20 times in a row." View the full results of the study at Seatsmart.